1 edition of Didi zu datvi found in the catalog. Add another edition? Are you sure you want to remove Didi zu datvi from your list? 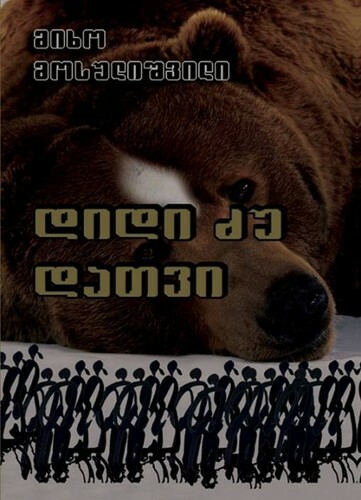 Published 2013 by Saunje Publishing House . The inhabitants of a village located in the mountains of South Caucasus struggle with a big She-Bear. The bear has caused damage to the villagers' corn fields, beehives and cattle, killed hunters and their dogs and avoided all kinds of traps. The village governor (administrative head), called a Biblical name Ahab, tries to kill the big she-bear with the help of the villagers. All the inhabitants of the village realize that this bear is a ghost from Ahab's past life. October 16, 2014 Edited by Chan Go U Edited without comment. October 15, 2014 Edited by Chan Go U Edited without comment. January 1, 2014 Created by Chan Go U Added new book.